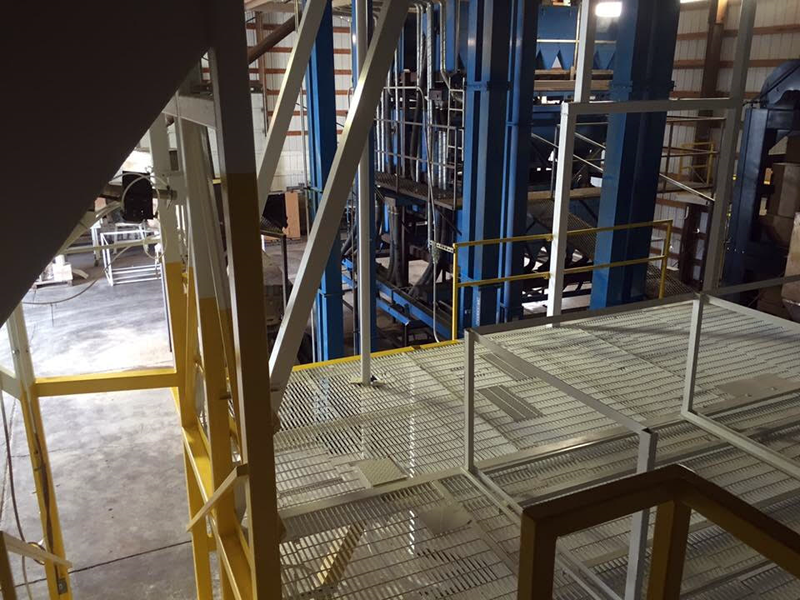 During April 2016, we were called upon by Rainer Seed Inc, to complete a very challenging project at their Davenport, Washington facility. 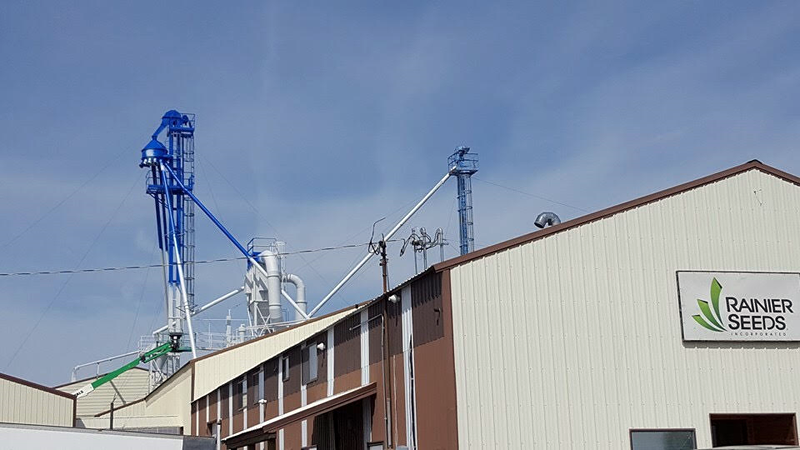 The project scope: @ Exterior- Prepare surfaces, prime and paint a 125 foot grain leg tower superstructure and associated supports. @ Interior- Clean, prime and paint all interior catwalks, gangways, and rigging including all required safety painting. 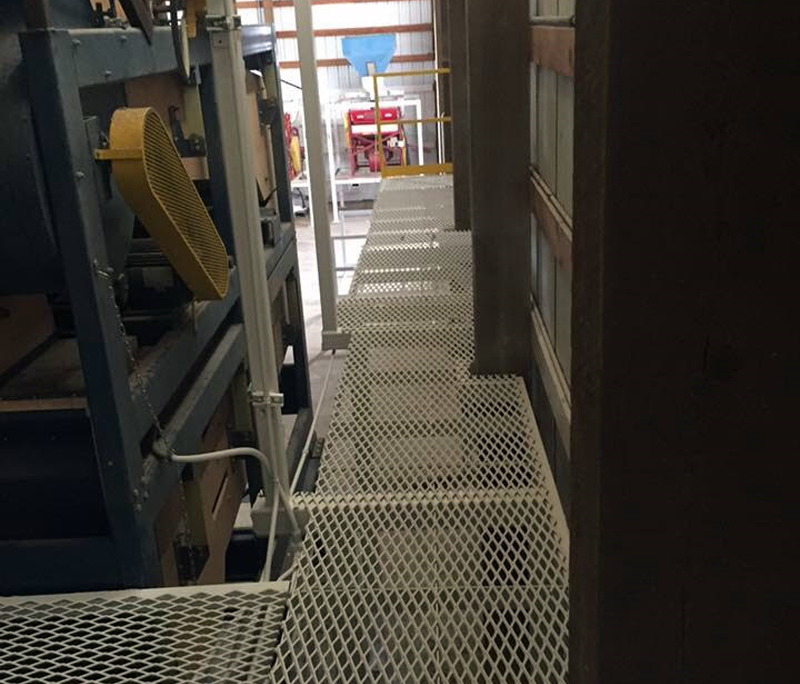 Prepare surfaces, prime and paint various seed-transferring and sacking equipment around the facility. 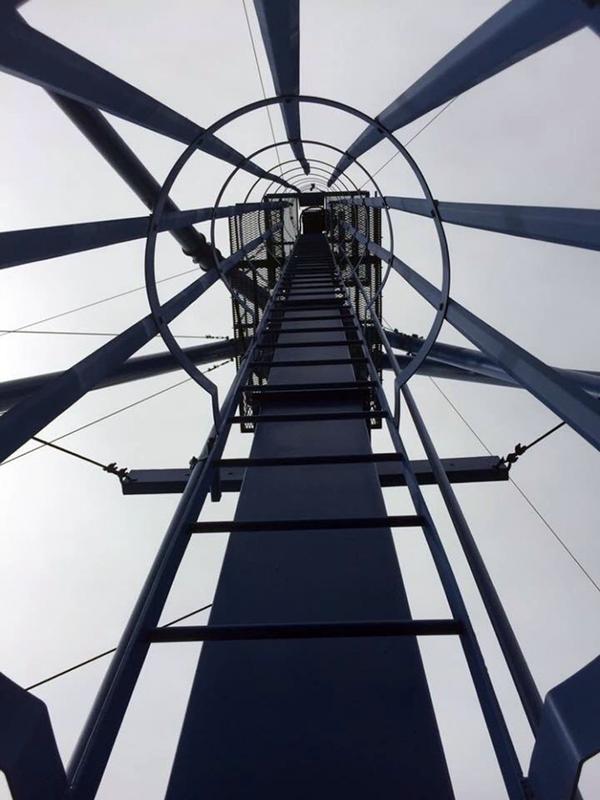 As I stood there in the rain with Mike and Ed from Rainer Seed, and Angie from AB Paints, our local paint supplier, I stared up at the structure and contemplated the complexity of this project from so many angles. 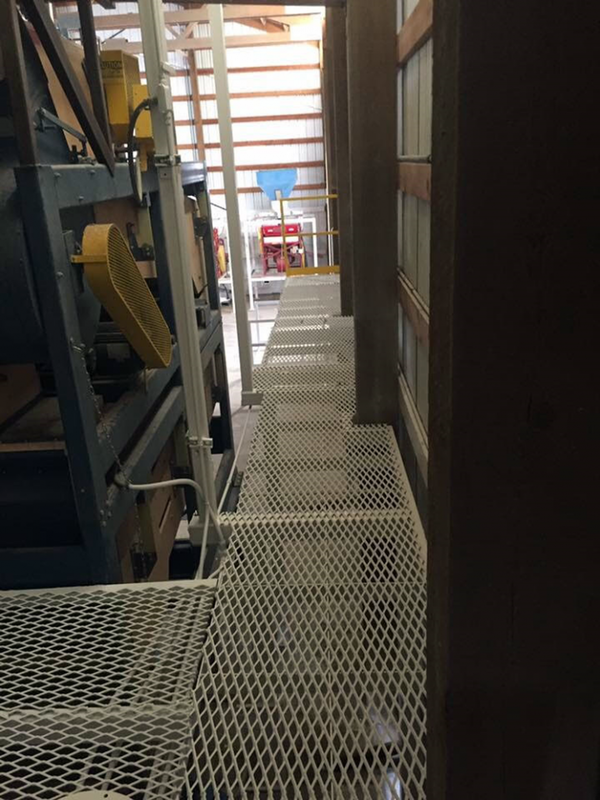 I began to verbalize some of the challenges- the height, safe access, what lifts we may need, the amount of surface preparation, just how complex the job really was in general. That’s when Ed just quietly smiled and informed me they would like the project completed by the first week in June as they needed to be ready for a client visit, and harvest. Good thing I eat problems for breakfast. I got in the truck and started making phone calls. The next day four pallets of industrial, rust-inhibiting, direct-to-metal primer, and high performing industrial topcoats were ordered and on their way to Davenport. 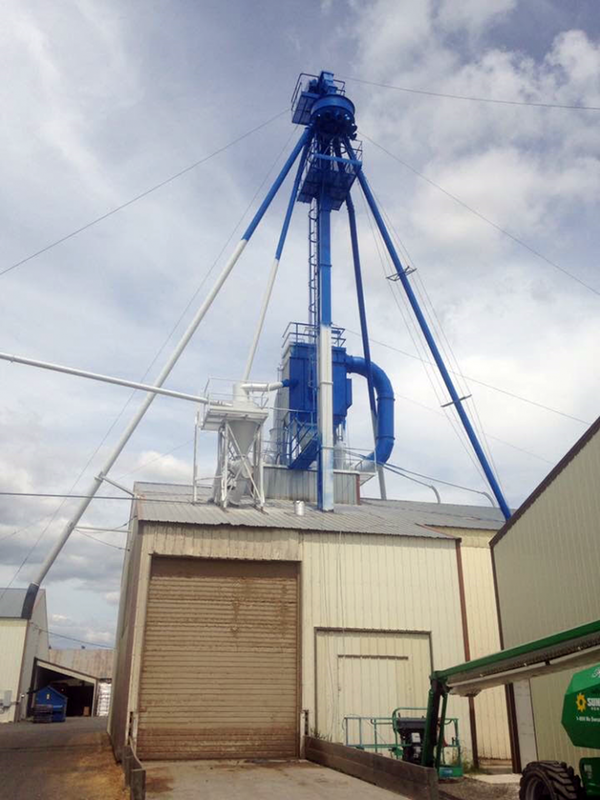 Sunbelt Rentals in Airway Heights was trucking in a specialty lift from Seattle. Josh, our Foreman, and I visited the site and came up with a plan of attack. The following week, Josh and crew attacked the structure with pressure washers, de-greasers, and cleaners to prepare the surfaces. Once that was completed, two applications of industrial rust-Inhibiting, direct-to-metal primer was applied to all metal surfaces. The primer was followed by two coats of high performance industrial top-coat. Josh painted from the boom, while Harry harnessed in and climbed the ladder to the top. He painted the cage from the inside, top to bottom. Harry repeated this 4 times- 2 prime coats and 2 finish coats. 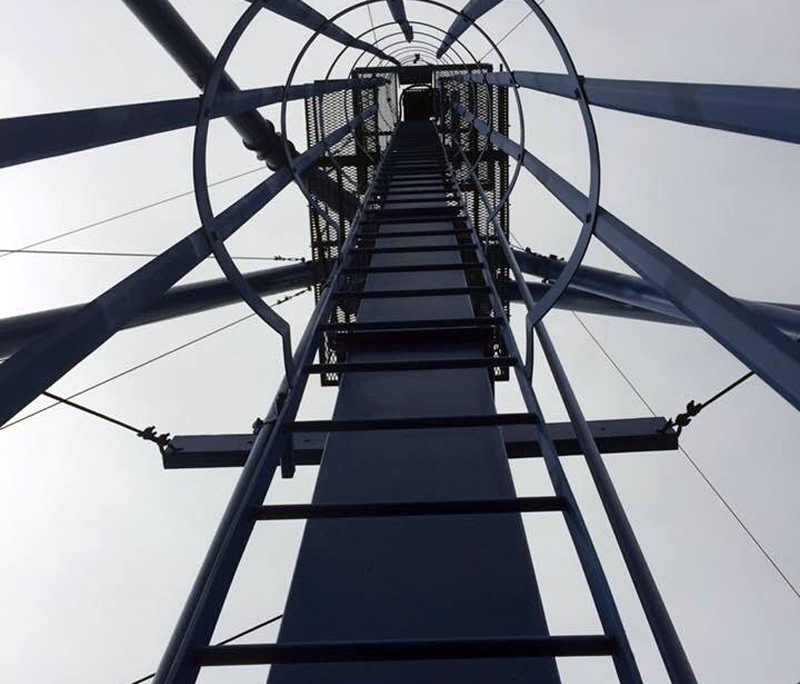 Days where rained changed our plans, the crews went inside to clean, prime and paint all of the catwalks, gangways, and rigging to keep the job moving along. We finished the job 10 days ahead of our deadline. We are very pleased with how this project turned out. 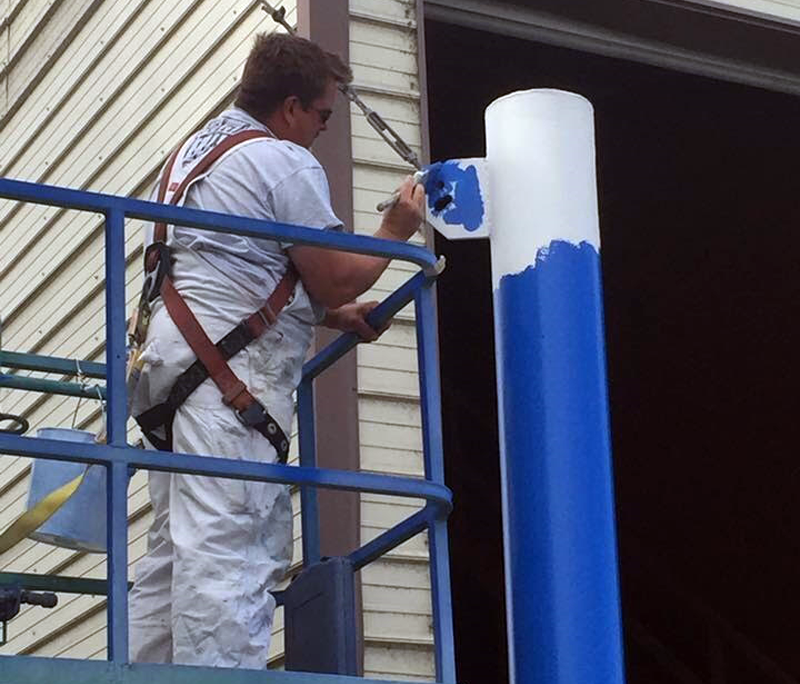 Our painters did a remarkable job completing this project, and our supplier, Angie Nicholls at AB Paints in Davenport worked miracles to land materials when we needed them. 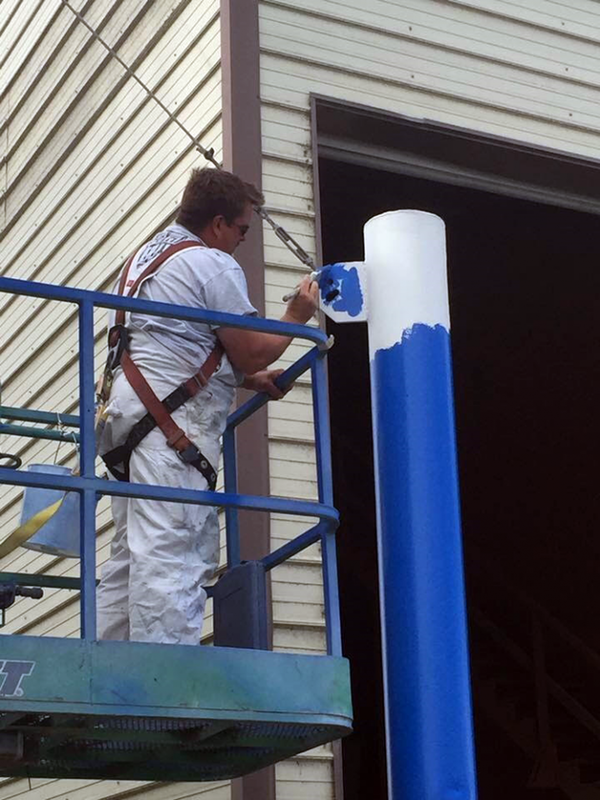 For all of you agricultural and industrial painting needs, think of Chewelah Painting. 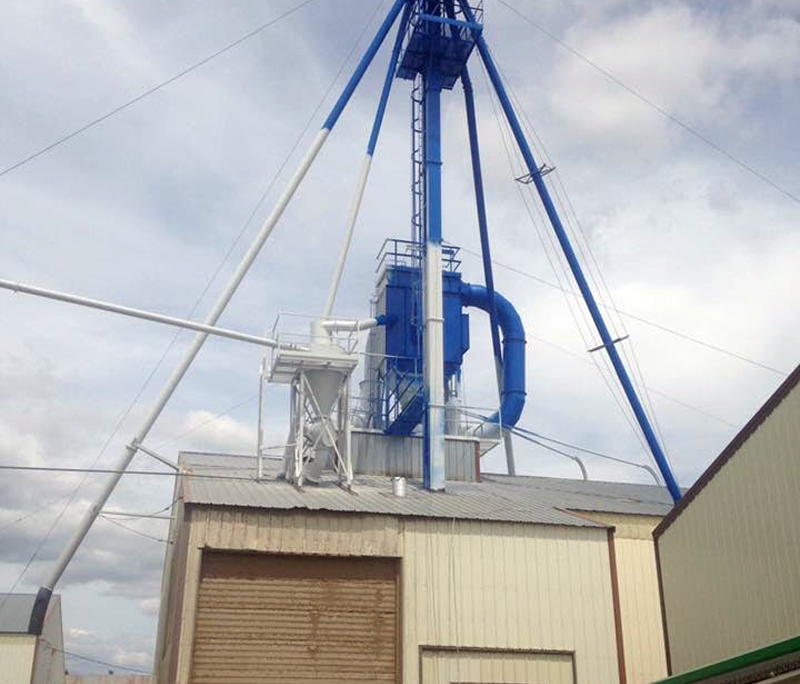 Serving Washington State’s wheat and cattle industries.